Understanding when the white coat is off or on is a key to successful personal and professional growth. Through a white coat off/on approach to personal and professional development, we are committed to coaching, mentoring and sponsoring the next generation of veterinary profession leaders. Most of life — family, activities, community involvement, growth — happens when our white coats or scrubs are off. 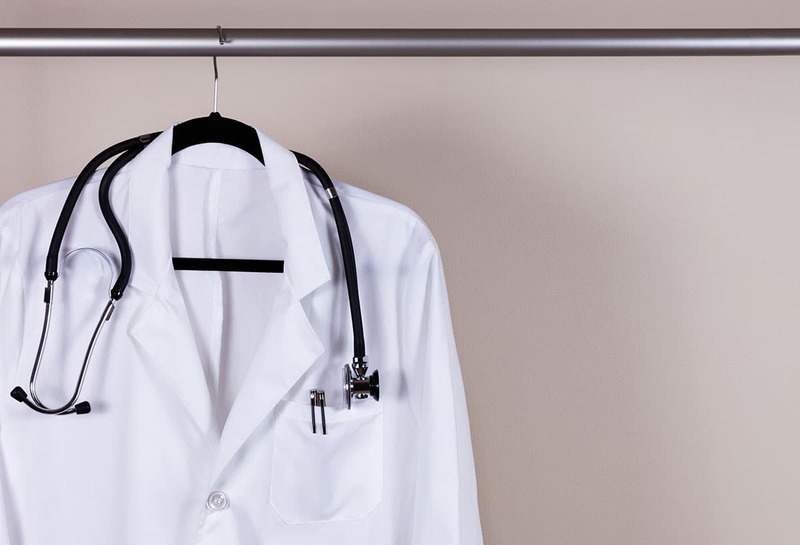 In my experience as a mentor, mentee, coach, educator, friend and sponsor, I see most organizations focusing on the white-coat-on (i.e., professional development) side of the ledger while short-changing the far more important white-coat-off side. I’ve also heard this described as the “human doing” vs. the “human being.” Catchy. I claim no expertise or training in life coaching and personal development, but I do know that the personal side of life trumps the professional. What happens when the white coat is off is far more important than when the white coat is on. With that in mind, I suggest we take a different approach to the annual review or professional development discussion. We should start any discussion of professional development with at least a check to find out how things are going when the white coat is off. The recent Merck Wellness survey told us that 1 in 6 of our colleagues has dealt with suicidal ideation, not to mention that brilliant veterinary nurses are staying in our profession only seven years on average. Let’s include some frank, meaningful discussion about wellness before broaching the topic of professional development. If things are not going well when the white coat is off, things likely won’t go well when it’s on. These conversations can be simple: “How are you?” “How’s your family?” “Are you sleeping well?” “Eating well?” “Exercising?” “How are your fur babies?” If the answers are, “I’ve got two kids in day care, the minivan is in the shop, I’m struggling to pay my student loans, I had to drop my gym membership, and my cat is sick,” why even attempt a performance review? It’s time to back up the bus and recognize what is most important in daily life. Lend an ear, offer resources like your practice’s Employee Assistance Program, or join the American Veterinary Medical Association’s Wellness and Wellbeing community on LinkedIn. Encourage colleagues to ask for white-coat-off help. Reaching out is to be encouraged and honored. Credit is owed to my friend and colleague Dr. Jen Bruns, who first described for me the white coat off/on concept. It puts so much of the workplace into better perspective. If we acknowledge and support what takes place with the coat off, our efforts to support success with the coat on are far more meaningful. Professional development discussions, if they take place at all, typically occur during performance reviews. In large organizations, these are the dreaded annual reviews. In smaller practices, they tend to be more informal and sporadic. In H.R. circles, the data is pretty clear that these discussions do not result in the desired outcome: happier and more productive associates. Why don’t they work? So many reasons, including a lack of trust involving the reviewer, questions of compensation, wrong key performance indicators and more. Reviews are often one-sided — the boss tells the employee what he can do better — as opposed to a two-sided approach of open, trusting, frequent dialogue and follow-through. Sadly, reviews are too often stressful, intimidating and artificial, and they don’t benefit either party. Old-school command-and-control performance discussions do not work. Command and control results in one of two things: compliance or defiance. Neither is ideal. The goal should be a shared partnership in which both parties want the best for each other, their team, the pets in their care and the practice. Yet annual reviews persist. The only thing worse, perhaps, is no review at all or a complete absence of feedback, particularly for millennials, who crave regular feedback. Wouldn’t it be better if employer and employee held frequent, constructive, trusting conversations in which both worked to build a happier and more productive workplace? My latest learning with respect to performance development includes the following: As with most of my good ideas, I stumble across them over the course of conversations, articles or podcasts. Nevertheless, I’ve learned to distinguish between mentoring, coaching and sponsoring. We need all three at various points in our life and career. 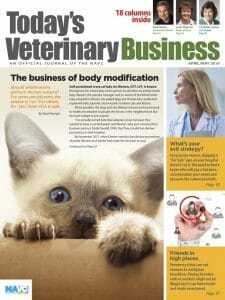 Veterinary students long for mentors upon graduation. The mentor is the wise, experienced sage who is there to listen, dry our tears, place a bandage on our skinned knee and encourage us to continue the journey. The coach is just as crucial but generally not as warm. The coach is there to congratulate us on our strengths but also clearly and honestly call out our weaknesses and challenge us to do better. Both the mentor and the coach are important to our continued growth. Once we’ve been fortunate enough to lead teams and surround ourselves with great people, we assume the obligation to sponsor some of those great people and promote them for more and more challenging and rewarding new roles. My WellHaven Pet Health practice has a number of strong senior-level female leaders but not enough women in C-suite executive roles. We don’t yet reflect the profession, not to mention the society our practice serves. Toward that end, we’ve just brought in an executive coach and have committed to sponsoring the next generation of strong practice leaders. Through a white coat off/on approach to personal and professional development, we are committed to coaching, mentoring and sponsoring the next generation of veterinary profession leaders. I’ve come to be a fan of the 70:20:10 model of professional development. In this model, our learning comes 70 percent on the job, 20 percent through colleagues, mentors, coaches and sponsors, and 10 percent from more formal learning situations like CE conferences, podcasts, reading and course work. My lens on professional development has evolved with my being coached on the white coat off/on approach to personal and professional growth. Many thanks to Dr. Bruns. Let’s keep work in perspective. Life first, work second. Our white-coat work can be so rewarding and challenging, but let’s not forget that the best of life happens when the white coat is off. If life isn’t going so well, never be afraid to ask for help or offer it to those in need.